Hi Volunteers! If you are interested in participating in a upcoming Neon Run please follow instructions below. 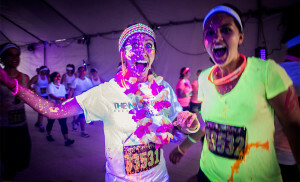 We are always looking for people to be part of the Neon Run crew for every event! Please email your first and last name and the event you are wanting to participate in to volunteer@theneonrun.com. We will send out an email two weeks prior to the event date with specific instructions. We look forward to seeing you there for an experience of a lifetime!! !